(Unfinished) The Pastmaster finds a new way to terrorize MKC, and the SWAT Kats have trouble with Callie, who appears to be having a bad hair day. Warnings: Don’t drink milk while you read this. Whatever you do, don’t drink milk while you read this. Sage’s Comments: I… am so afraid. I… don’t know the person who wrote this with me… Yeah! That’s it! I don’t know this lunatic. I honestly don’t. Nope, nope! Not at all! No lo conozco. No hablo ingles! “Viper? !” T-Bone responded, as he spun around, prepared for whatever might occur. “SWAT Katssssss, I knew it wassssss only a matter of time until you wound up in here,” Dr. Viper slithered sadistically. “Who do you think you are, Viper?” T-Bone demanded. The nearest Enforcer guard produced a boom box from seemingly no where and pressed the PLAY button on the side. A deep, booming repetitive beat began to play. T-Bone and Razor both stared wide-eyed. “He’s not gonna…” they both began. Abruptly Dr. Viper broke out into a gangster rap style motion. Those gathered in the cafeteria began to join in, following in line behind. “He’s Viper! Yo yo! He’s Viper!” the rest repeated in unison, all line dancing. Viper broke out in rapid break dance, spinning around on his back then flipping upward on his tail, then leaping off of the table and skidding to a stop on his knees in front of the SWAT Kats, the spot light still on him and the music and dance routine in the background coming to a halt. The SWAT Kats were stupefied. Dr. Viper had resorted to rap music?! As if things couldn’t get any worse. “Did you catch every word he said?” T-Bone murmured, almost afraid to look in the snake kat’s direction. Razor didn’t reply. He was already on the floor, twitching, in laughter. “What’ssssss sssssso funny?” Viper asked. “Viper… rapping! BWAHAHAHA!” Razor said, now in tears. “Hey! I’m hip! I’m down with it!” Viper proclaimed. “Huh-what?” Razor asked as he was yanked back up. T-Bone retrieved a microphone and shoved it into Razor’s hands. 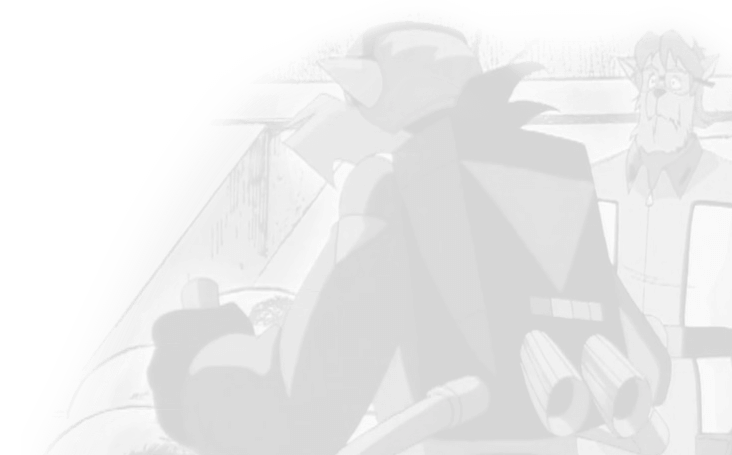 The lights in the cafeteria abruptly dimmed as a single spot-light focused on the SWAT Kats. “Up in the sky, ya see us fly, as we go by, bad guys fry. Above the skyline, we jet in line, not takin’ our time cause cause this rhyme ain’t so fine,” Razor began. “We’re the best of the best, beatin’ the test, takin’ em’ all on and layin’ em’ to rest. We ain’t no police and we ain’t paid to do what we do, but if you was like us you’d be doing it too. We’re few, the two, and you ask us who?” T-Bone continued. 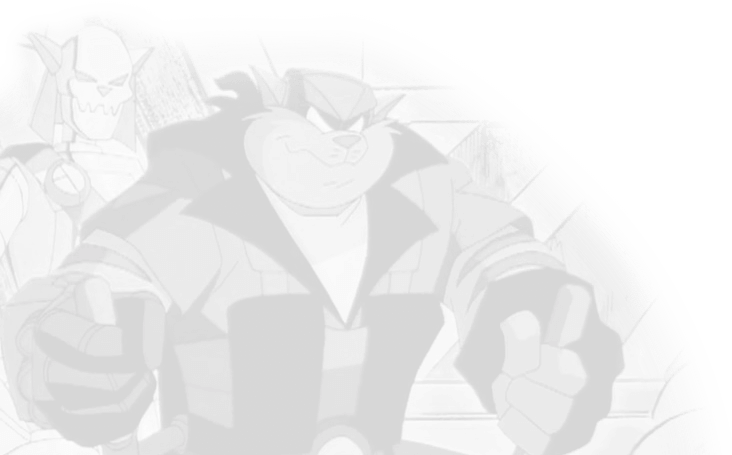 “We’re the SWAT Kats!” Razor declared with a few moves of his own. The boom box abruptly changed as the the CD skipped and switched to that of the macarena. The Enforcer Guard cocked an eyebrow as he looked at the music machine before him. T-Bone and Razor gave each other a glance, then shrugged. T-Bone gave Razor an awry look as he snatched the microphone out of the smaller SWAT Kat’s hands. With much effort and frustration the Enforcer Guard kicked the boom box, once again causing the CD to skip back onto the gangster rap beat that the two had been on previously. The villains simply gaped. Some of them wondered how long the “rap-sody” would take. Others wondered if this was worth the trouble, especially during lunch time. “Do you think this is part of the sentence?” one asked the other. Another simply dropped to his knees and started crying. There had to be a way to make those infernal SWAT Kat stop rapping. Then, upon a devastating cry of what appeared to be both mercy and torture, a tray of food flew out to hit the nearest villain. “Uh-oh – watch out!” Razor warned, tackling T-Bone and sending the two of them flying off the tabletop, just barely avoiding collision by the fruit cup collage. Razor reached over and grabbed the nearest bowl of the liquidy solution, and poured it on the ground. With a corrosive speed of unimaginable proportions, it ate through the floor. T-Bone blinked. “Don’t forget this is *prison* food,” Razor reminded. “Good idea!” T-Bone stated as he ran up to it… and threw the soup on the wall right next to it. Eating away at the wall, the soup soon created a hole large enough for the two to go through. “No time!” T-Bone yelled, grabbing Razor by the collar and running, leaping through the hole in the wall. “Ack, stupid piece of crud machine!” the Enforcer Guard shouted as he kicked the boom box once more. Abruptly the music came back into tune and the guard sighed with relief. The numerous food fighters stopped what they were doing as they paused to listen to the music that began to fill the room. Dr. Viper heard it and immediately broke out into dance again. The entire gathered array of convicts began to join in, creating an immense congo line that stretched around the interior of the cafeteria. Razor gawked in horror as he spoke. A snapshot of the darkest period of Jonathan’s life. Contains extreme profanity.